This has borne fruit with any number of ‘found’ spaces – starting with rooms at the back of pubs from the early 1970s and extending to industrial warehouses and former factories, converted railway arches and more today – transformed into dynamic theatrical spaces. But purpose-built theatres remain the bedrock of our industry. While some see a pivoting away from these traditional venues as a way of bringing flexibility and informality to theatre, which could attract new audiences, it is possible to build new theatres or to repurpose and re-imagine old buildings for modern needs. Two of the most impressive examples of each have occurred in London this year. The Bridge Theatre, created as a cultural planning gain for a luxury housing development in the shadow of Tower Bridge, is the first large commercial theatre to be built in central London since the New London Theatre opened on Drury Lane in 1973, and offers plenty of theatrical virtues (not to mention fresh madeleines). Its chief design features, as co-founder Nick Starr told the Evening Standard, are proximity, comfort, and flexibility – it can be configured for proscenium arch, promenade or thrust stage. But those West End theatres are also capable of being reinvented. This week, the Victoria Palace – a venerable Frank Matcham variety palace reopens with the much-hyped West End premiere of Hamilton. The theatre, which opened in 1911 and cost £12,000 to build, has been gloriously restored by its new owner Cameron Mackintosh, at a cost he won’t specify. And though reviews for Hamilton are embargoed until December 22, I can say the theatre itself is a total triumph. Last week, Mackintosh took some members of the press on a guided tour of the venue and was showing it off like a proud parent. As with the other seven theatres in his Delfont Mackintosh stable, starting with the Prince Edward and adding, over the years, the Prince of Wales, Novello, Coward, Wyndham’s, Gielgud and Queen’s, he has impeccably restored each and every one to make them among the most glamorous and beautiful venues in London. As he remarked on the tour, many people coming to Hamilton will be first-time theatregoers, and he wants them to be seduced by how stunning the venue is. Even if tickets for the show will cost up to an eye-watering £200 each, he was keen to point out that lottery and cheaper seats in the large upper circle are available and not only are the views great there (I checked – they are), but every part of the house has bars and generous toilet facilities that are virtually unprecedented for West End venues. In an interview with the Sunday Times, he said: “This is my legacy.” As if it wasn’t enough to produce or co-produce four of the biggest musical theatre blockbusters of the last century – Cats, Phantom, Les Miserables and Miss Saigon. Other theatre owners in London have been catching up, sometimes out of necessity (after the 2013 collapse of part of the Apollo ceiling, that theatre has been gorgeously refurbished, although the balcony still remains out of use), and sometimes just cosmetically. But we still don’t have any sense of accountability for the revenues that have been compulsorily collected from theatregoers via the restoration charge on every ticket sold. Mackintosh has put that money – and his own – where his mouth is, but it’s not always clear how much others have spent. More transparency would be welcome. 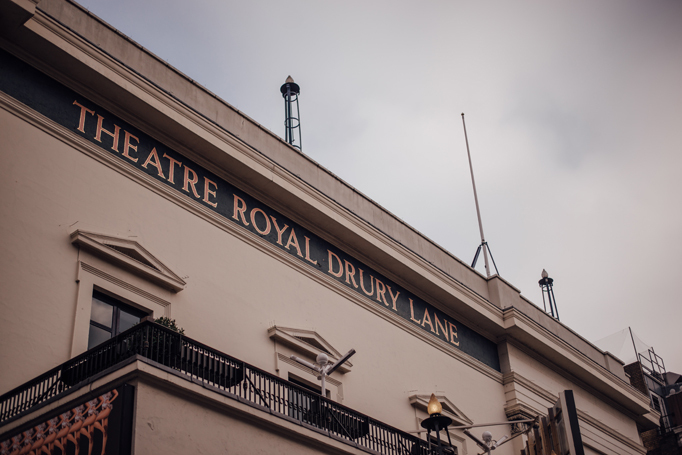 But I’m glad to hear Drury Lane – one of the jewels in Andrew Lloyd Webber’s Really Useful Theatres Group – is to receive a major overhaul. It is currently a slightly faded glory; though the foyers and Grand Saloon were overhauled in 2013, the toilets and auditorium have a shabbier charm. And the need for air-conditioning is urgent.